Cervantes meets Shakespeare in the latest in the latest event organised as part of MMU’s Humanities in Public season. The event, entitled Tilting at Windmills: Cervantes ‘Meets’ Shakespeare 400 Years On, brings together two of the world’s most famous authors who not only share worldwide literary prestige, but also a curious coincidence in their personal lives: they both died on 23 April 1616 – a day chosen by UNESCO as World Book Day. On the evening theatre and language students will depict and reimagine characters created by the two authors and perform extracts of their best-known works. 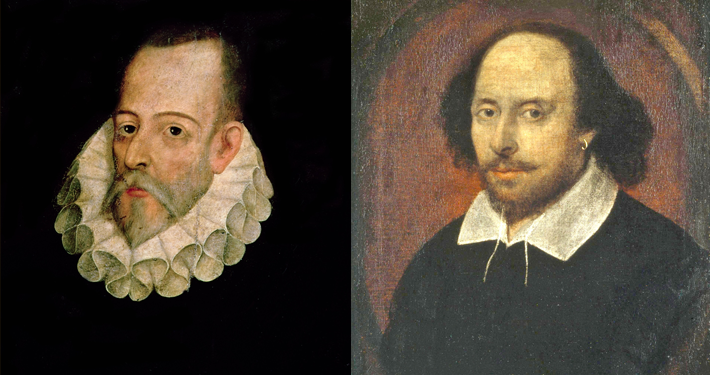 MMU Spanish lecturers Karl McLaughlin and Idoya Puig will engage the audience in a dialogue as they reflect on what Shakespeare and Cervantes would have made of the modern world.